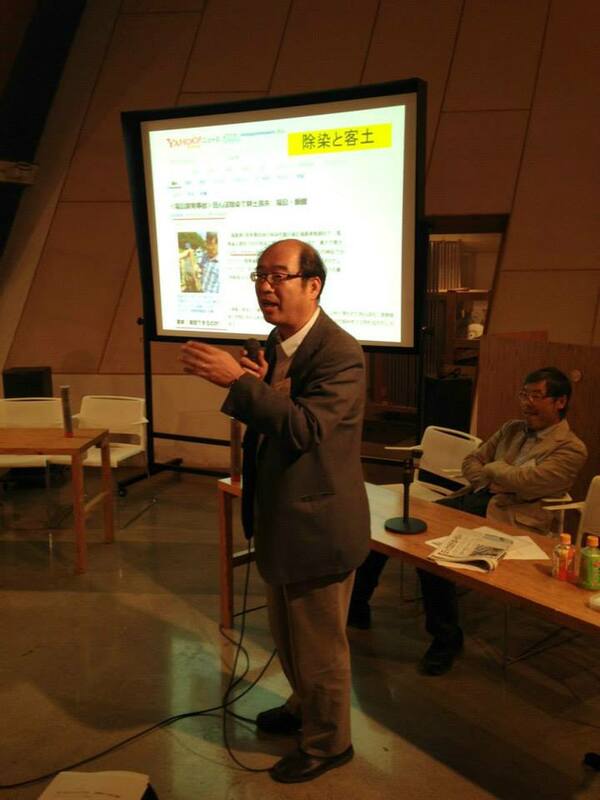 We are about to enter the fourth year since the great earthquake and the subsequent nuclear power plant accident. As we start the New Year, I would like to share our activities we have done in 2014 and the planned activities for 2015. We commit to continue our maximum efforts for the resurrection of the disaster-stricken areas in the spirit of empathy and collaboration. We are looking forward to your strong cooperation from all aspects. Thank you very much! 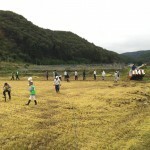 New rice from the third cycle of wet-rice trial cultivation was harvested and brought in JA Sohma (an agricultural cooperative), where all the rice in every package was individually examined. As a result, no radioactivity was detected lower than the detection limits. 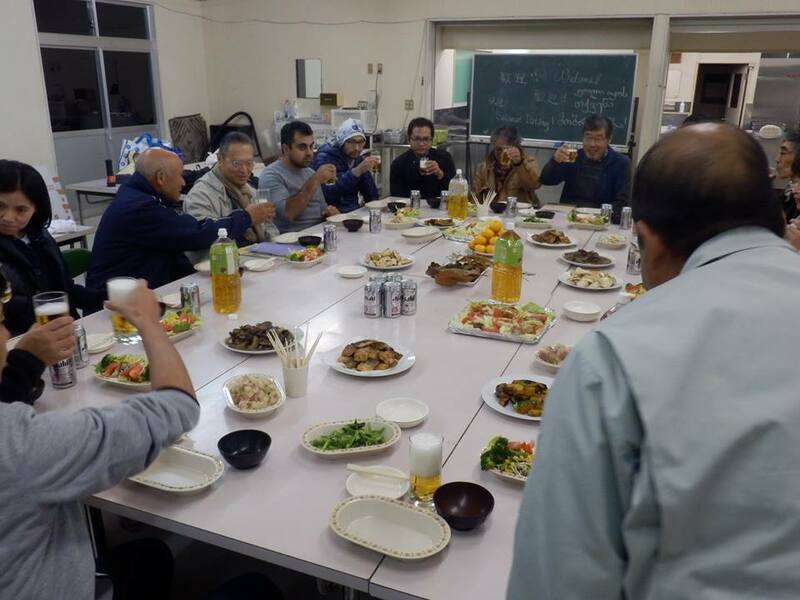 A tasting event was held with some members of the “Resurrection of Fukushima”, wherein they enjoyed its very rich taste. Ryozen Center started as the base of activities and it is available throughout all seasons. This facility center was inaugurated by the compassion and cooperation of a NPO who have been dedicating themselves to cure childhood chronic disease. A concept of the residential house model was made to revive life and industries in Iitate village. 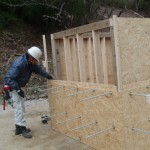 An experimental hut was designed, constructed and has been used for the experiments. 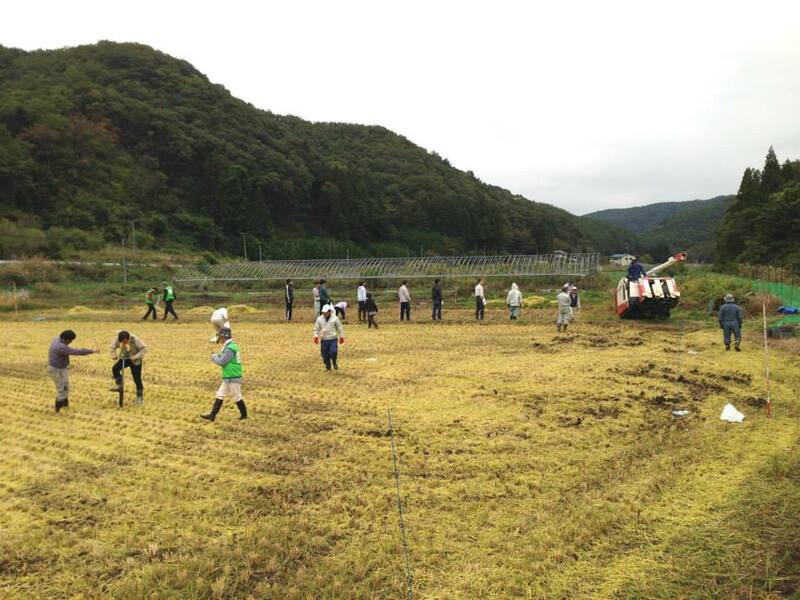 Three years have already passed since the radiation measurement activities were started by the villagers. For the purpose of increasing the measurement accuracy and providing more precise information, two specialized cars are being utilized solely for measurement purposes, in cooperation with KEK (High Energy Accelerator Research Organization) and Suzuki Motor Corporation. 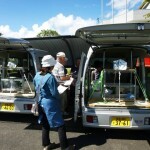 The radiation measurement activities by the volunteer members continues, not only within the village but including the areas outside its premises. 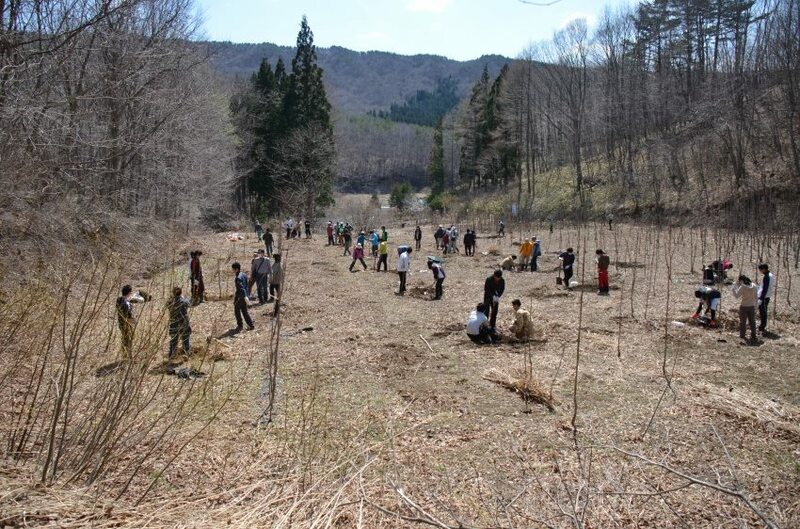 A Sakura planting ceremony was held at Komiya district for the purpose of extending empathy to each villager who still keeps the inherited land and house close to her/his heart. The participants included many students and volunteers. 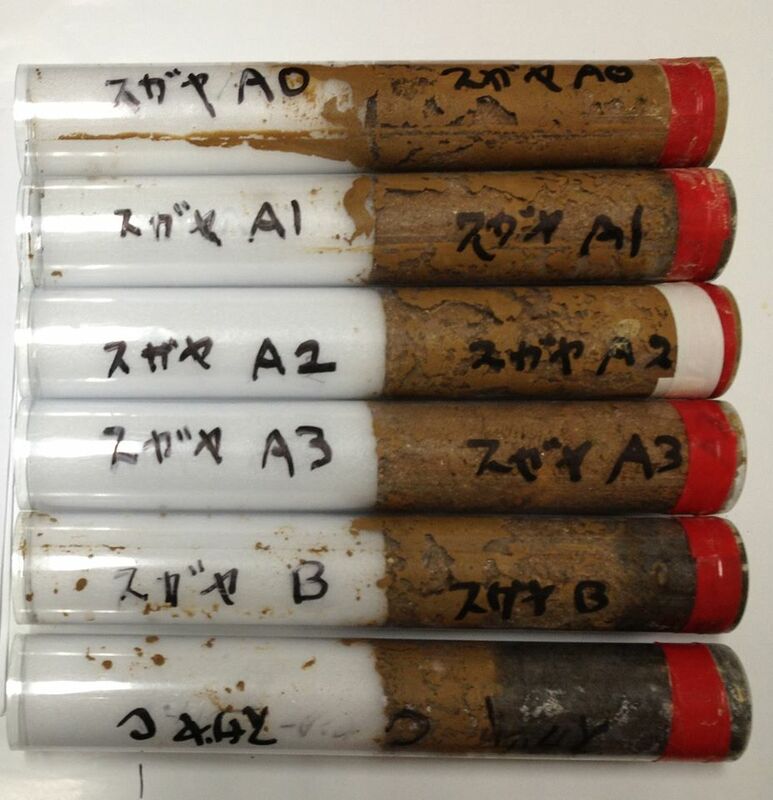 In order to perceive a real picture of the decontamination effectiveness led by the national government, measurement of radiation and soil radioactivity were conducted at a pre and post-decontamination activity. Drip irrigation was started at the green houses that were constructed in cooperation with the City and Farm Village Interchange Center, an NPO. 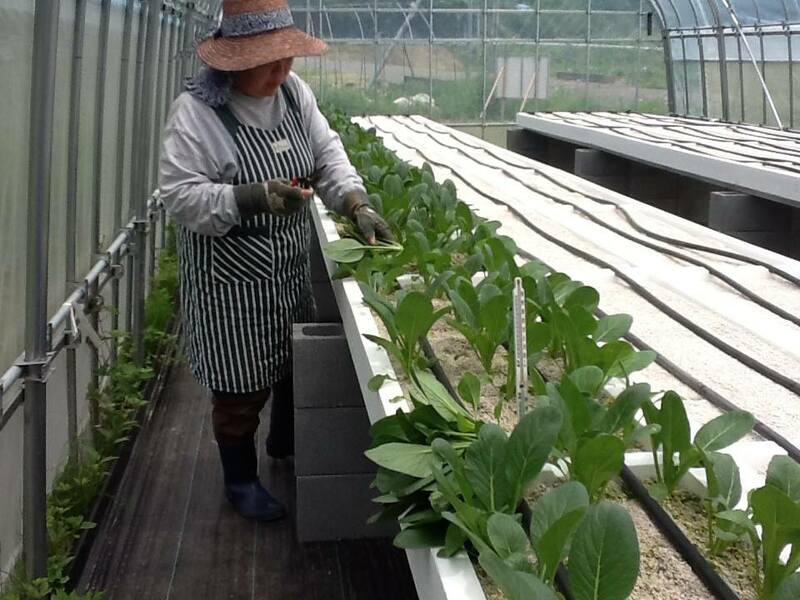 “Circle Madei” is having ongoing activities and has conducted various radioactivity measurement in collaboration with the staff of the Faculty of Agriculture of Tokyo University and other people. The members who are involved in welfare and medical services visited Iitate Home (a nursing home) and some temporary houses for a trial support service to the people of the disaster-stricken area. 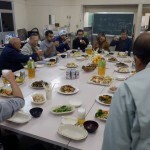 Debriefing sessions of the NPO were held at the branch office of the Iitate Village Office in March, while the others were conducted in the Faculty of Agriculture of Tokyo University in May and October. 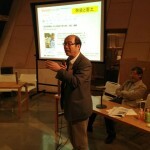 “Resurrection of Fukushima” became the approved/specified NPO, approved by the Tokyo metropolitan government in June. We plan to capture a wild boar for the third round. 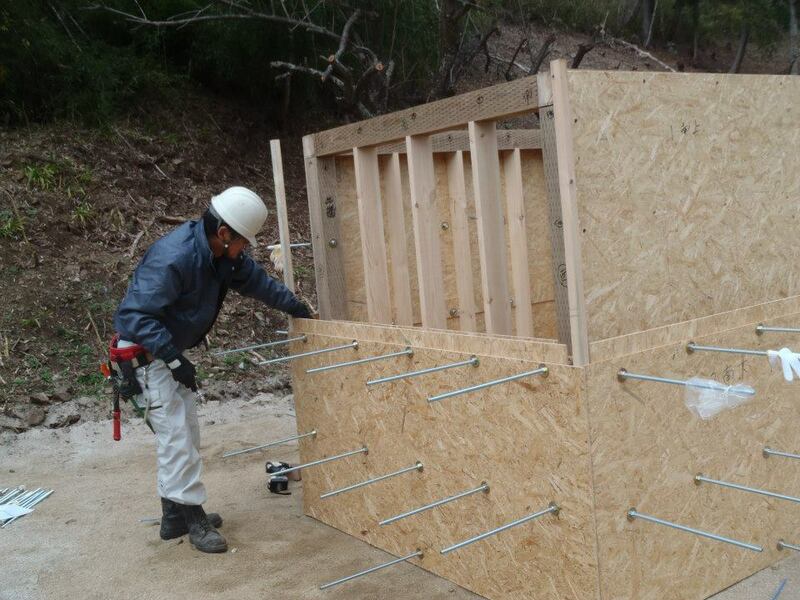 The villagers, experts and volunteers are ready to act immediately whenever a wild boar is trapped. We have been waiting for a long time in this winter, because wild boars do not come close surrounding the residential areas and there are 7,500 workers are working in the village for decontamination. We further enhance the ongoing activities such as wet-rice trial cultivation, radiation measurement throughout the whole village, drip irrigation and radioactivity measurement by “Circle Madei” and others. We enhance the activities with Ryozen Center as a strategic hub so that our activities can be performed beyond the boundaries among Iitate Village, Date City, Soma City, etc. We also operate Ryozen Center as the meeting hub for people to interchange with the residents, NPO members, visitors, etc. 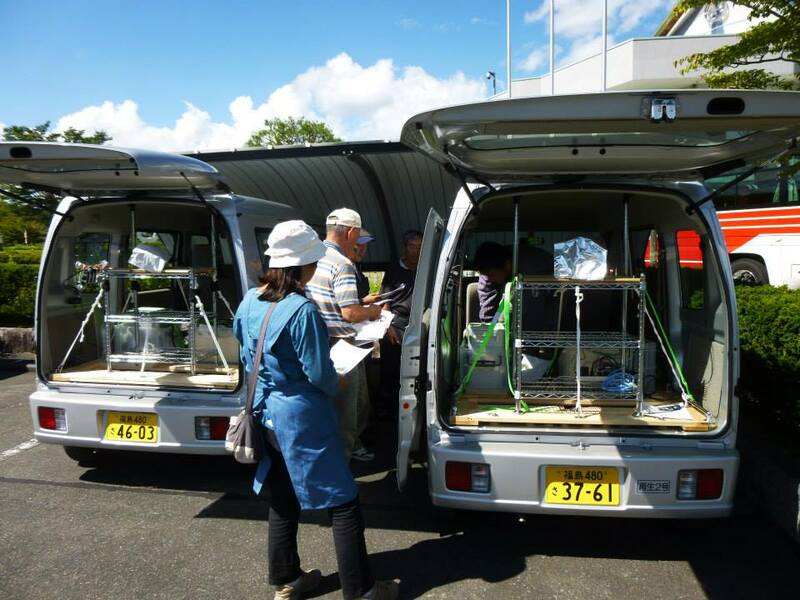 Furthermore, by taking advantage of the lodging facilities already in place, we provide Ryozen Center as the accommodation hub to leverage the study tours so that many students and workers in Japan and from other countries can see and learn the real picture of Fukushima. While decontamination works are ongoing in line with the national government policy, we check the decontamination effectiveness and the impacts to the local agriculture and environment in terms of what influences are induced by scraping the soil surfaces. 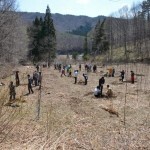 And we look for necessary means to revive the area in cooperation with the residents, volunteers, experts, etc. Looking ahead, when the government lifts their evacuation directive from a certain part of Iitate village, we prepare to construct a residential house model in Sasu district, which will be made from the local natural resources such as the forest resources, stones/rocks, soils, etc. We foresee a smart utilization of Iitate’s natural resources. We aim to establish the state that measurements in the village are conducted by themselves. For this purpose, we enhance the measuring instruments and grow up the local staff people to obtain the necessary skills. 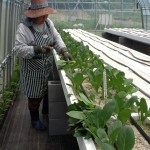 We aim to localize all the measurement work by the villagers themselves. For this purpose, we enhance the measuring instruments and skill development for the local people. In order to revive human life and industries in the nuclear disaster-stricken areas, we seek as many people as possible to know the activities of “Resurrection of Fukushima” and expand the ring of empathy and collaboration around the globe. Copyright© ふくしま再生の会. All rights reserved.